Wanting to go to the Industrial Authority meeting tonight? Oops, you missed it: they held it 11 days ago. Did you want to speak there? Nope, no Citizens to be Heard on that agenda, and not much else, either. 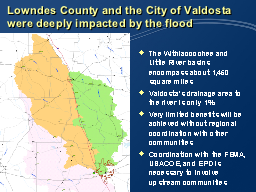 There will be a Special Called Meeting of the Valdosta-Lowndes County Industrial Authority on Friday, March 8, 2013, 11:00 am at the Valdosta-Lowndes County Industrial Authority Offices. This Special Called Meeting will also serve as the Regular March 2013 Meeting. Agenda (PDF) There will be no meeting on Tuesday, March 19, 2013. What is the procedure for going into and holding an "executive session" or "closing a meeting"?